Those of you who know me well know that I love to workout. In fact, I’m a bit obsessed with making sure that I exercise every day. With a strong family history of heart disease and diabetes, it’s not so much about achieving body perfection as it is about keeping my heart strong and maintaining a healthy body mass index so that I can prevent some of the issues that my family faces. 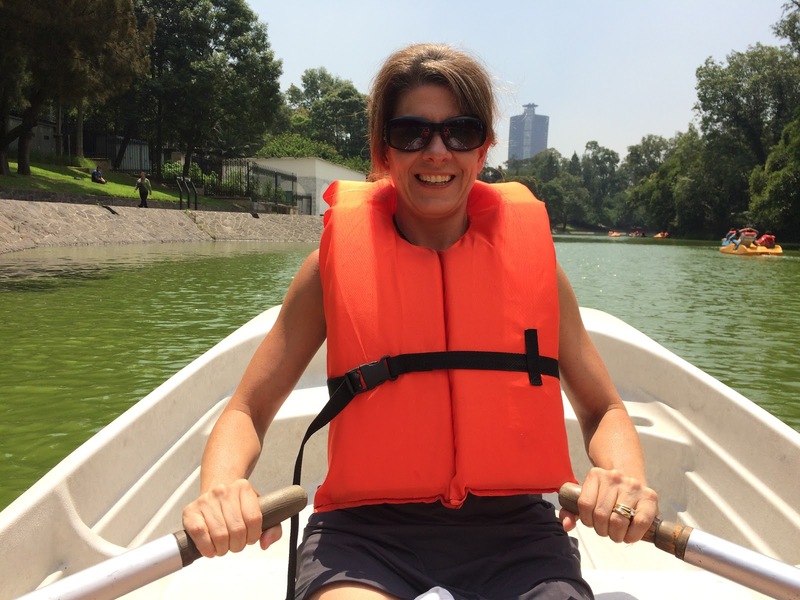 When I first found out about my trip to Mexico, one of my first worries was, “How am I going to be able to maintain my exercise schedule?” In addition to that, I worried about not having any control over my diet while living abroad. These two concerns played a big role in my pre-trip anxiety. I knew that going on this trip was going to take me out of my routine and out of my comfort zone. I wasn’t sure quite how I would handle it. I scoured the internet looking for gyms, yoga studios and fitness classes in Cuernavaca. I kept coming up empty. I did find one gym, but I really didn’t like what I saw and it was very, very expensive for a one-week membership. I decided that I would just wing it and try to go with the flow once I got there. One of the things I did before leaving the US was to email the school director asking for a home stay that was a decent walk away from school. Knowing that I would have to walk to and from school each day (some days twice) assured me of at least a small amount of daily exercise. They definitely honored my request by placing me in a hilly area exactly one mile from the school. My first 100 steps each morning were up a steep incline. Hello quads! Most of my classmates were within 1/4 mile of the school so I considered myself lucky that I was placed at a such a distance. Not only did I walk to and from school each day, but I also chose to walk to the city center in Cuernavaca (4 miles) at least 3 times a week. 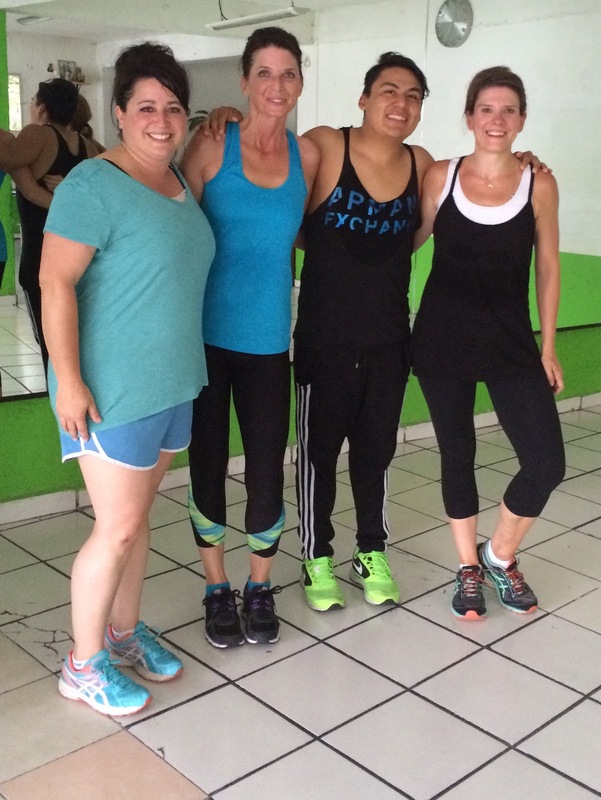 When I met my exercise soulmate Lora at school one day, I was excited to learn that there was a daily Zumba class in her “neighborhood.” We made arrangements to go four times during our stay in Cuernavaca. I walked 1.6 miles to her house before Zumba and 1.6 miles back home after Zumba. 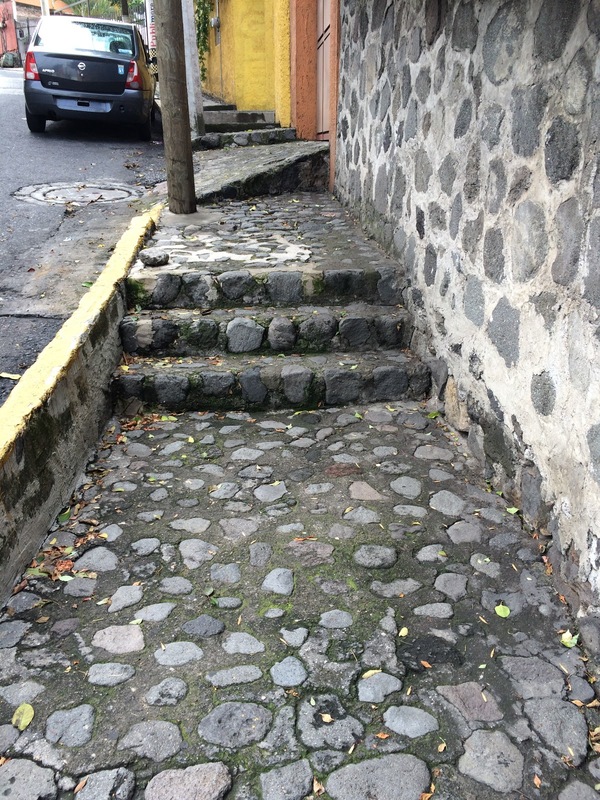 Lots and lots of walking over cobbled and damaged sidewalks, up and down hills. Lora and I chose Zumba over several other “cultural” opportunities that our classmates were doing, but it was worth it. We got exercise and culture all in one place. There’s nothing like taking a Zumba class filled with Mexican women (of all ages). No Zumba class here in the US can quite compare. I’m certain my hips will never be able to move the way their hips did! Yowza! 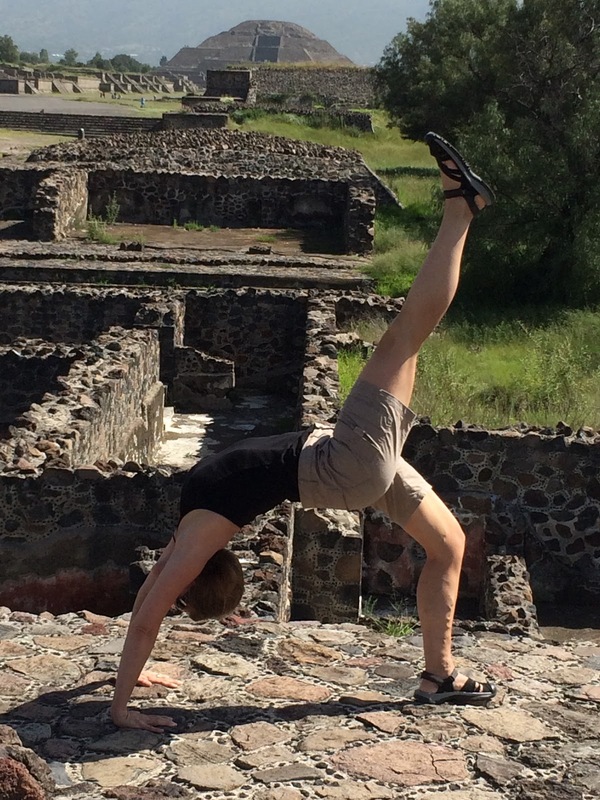 The other type of exercise that I did while in Cuernavaca was yoga. I use an app on my iPad called YogaStudio. It is a fantastic app that you can use anywhere, even if you don’t have internet. There are beginner, intermediate and advanced classes of 15-60 minutes in length. I got up early several mornings to get my yoga fix on my beautiful balcony. It was challenging because I only took a travel mat, but at least it was something! When Brian arrived to Mexico, we walked at least 5 miles a day, kayaked, climbed pyramids and only ate two meals a day. There’s no doubt we were burning more calories than we consumed during his stay in Mexico with me. 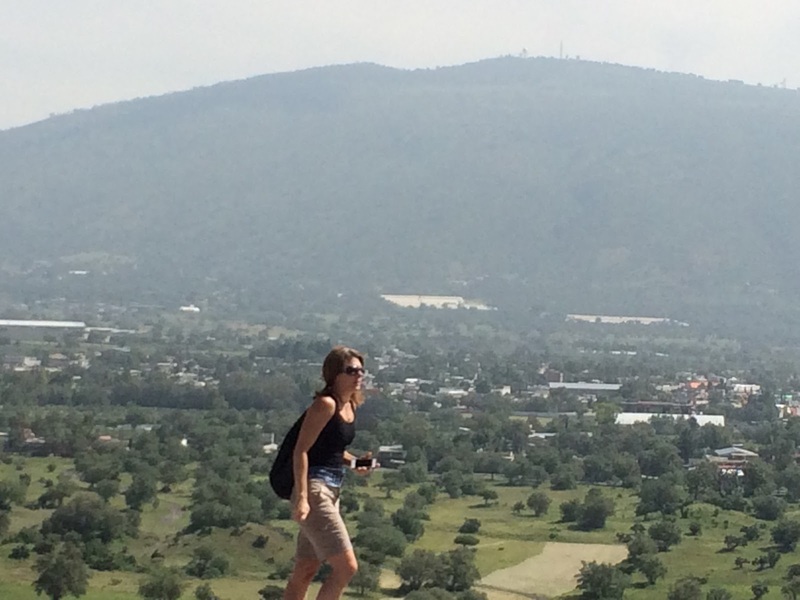 The best part for me about exercising in Mexico was that I didn’t stress about it at all. If I had to go somewhere, I walked. Zumba was a social event that happened to revolve around a workout. I did yoga because each morning was beautiful and I wanted to honor the peace and beauty of my surroundings. For the first time in a long time, exercise was enjoyable and not just something else I had to fit into my day. Exercising my body had a purpose and it felt great! The second part of travel fitness that worried me was the concern about what I might be eating while on the trip. I am usually pretty careful about my diet, but over recent months had found myself slowly slipping back into old patterns. For me that meant eating desserts daily, having that 3rd glass of wine, snacking when I’m not hungry and way, way, way too many late night bowls of snack mix. 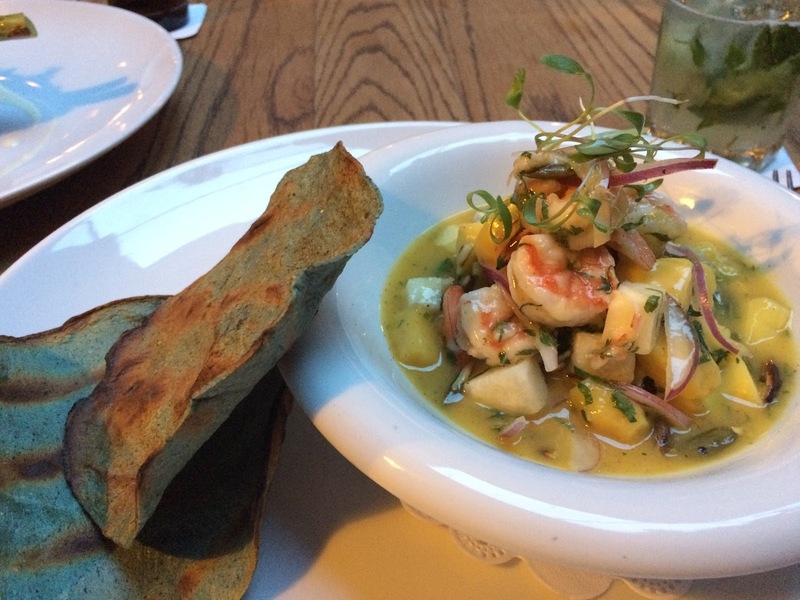 I also love to try new foods and have grown to love splurging on vacation. The fear of no exercise plus eating whatever I wanted for 3 weeks consumed me in the days before the trip. How on earth was I going to maintain my current fitness level given the circumstances? 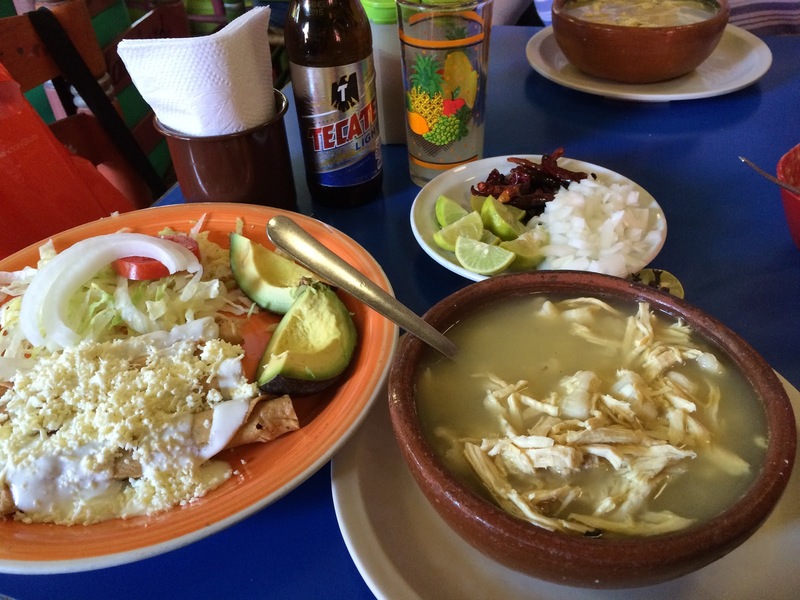 I’ve already discussed the exercise I had while in Mexico, but I feel that I must also speak about the food. First, I didn’t limit myself at all in Mexico. I ate when I was hungry and I ate whatever was given to me. 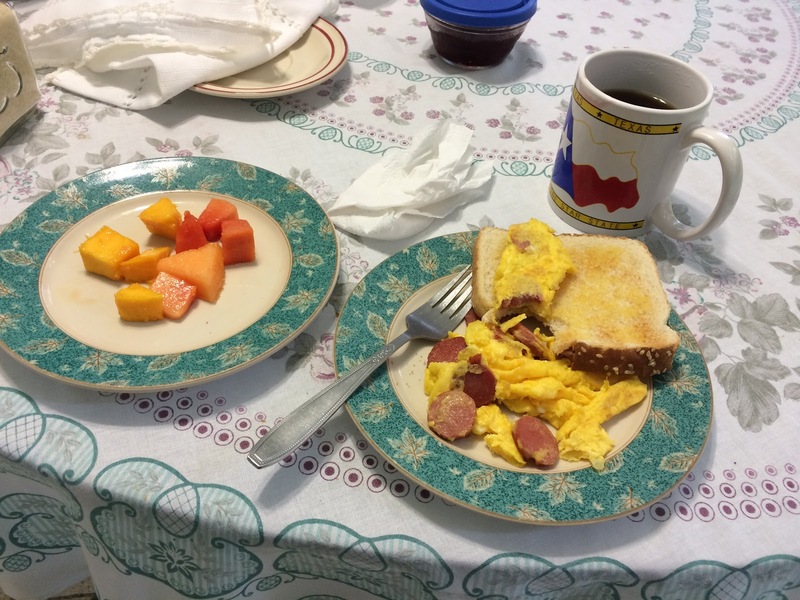 That meant that breakfast was always fruit, white toast and eggs. Some mornings, it was yogurt and honey with fruit. I grabbed a banana or an apple to have during my morning break at school. In the afternoon, I ate a very large meal with my family on most days. 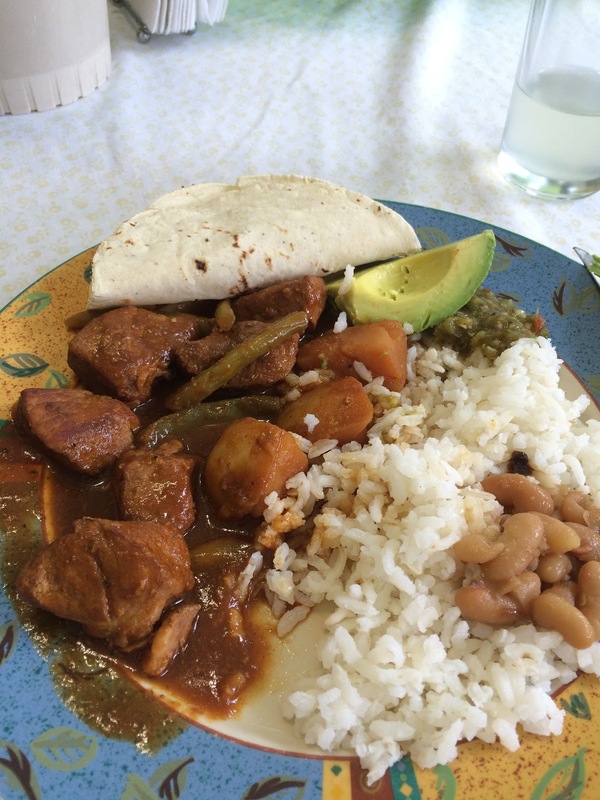 Most of these meals included red meat, corn tortillas, rice and vegetables. If we were on an excursion during meal time, I took a piece of fruit and a turkey and cheese sandwich. There was no dinner on most nights. Some families had a small meal, but not mine. If I was hungry, I would pick up some trail mix or yogurt to eat. I drank a lot of water each day. 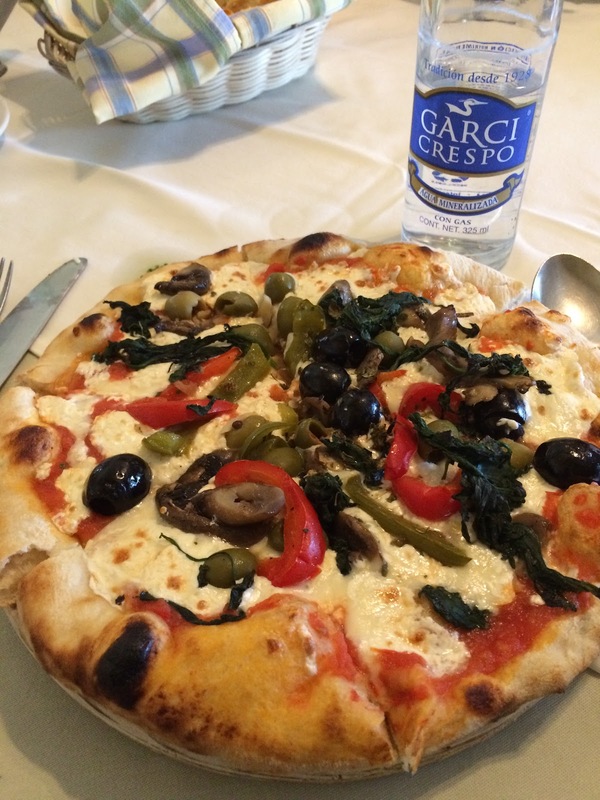 When I went to a restaurant, I chose whatever I wanted to try and I ate heartily. I found that on most days, I ate because I was starving and not because I was on some sort of a schedule. Not having a refrigerator or microwave at my disposal made me more aware of my eating patterns. It’s amazing how much we eat when we aren’t truly hungry in the US. Knowing that it would be a hassle to ask for food or walk to the store to buy something made me really ask myself if I was hungry or bored before reaching for that snack. So what’s the bottom line? Did I return feeling flabby and out of shape? Actually, the opposite happened. I felt better while on the trip than I usually do at home. I attribute this to having virtually no processed foods and eating my biggest meal in the middle of the day. However, I wasn’t sure what the scale would say given my diet of red meat, lots of cheese and endless corn tortillas. Imagine my surprise when I stepped on the scale only to realize that I had LOST 8 POUNDS! I was shocked. 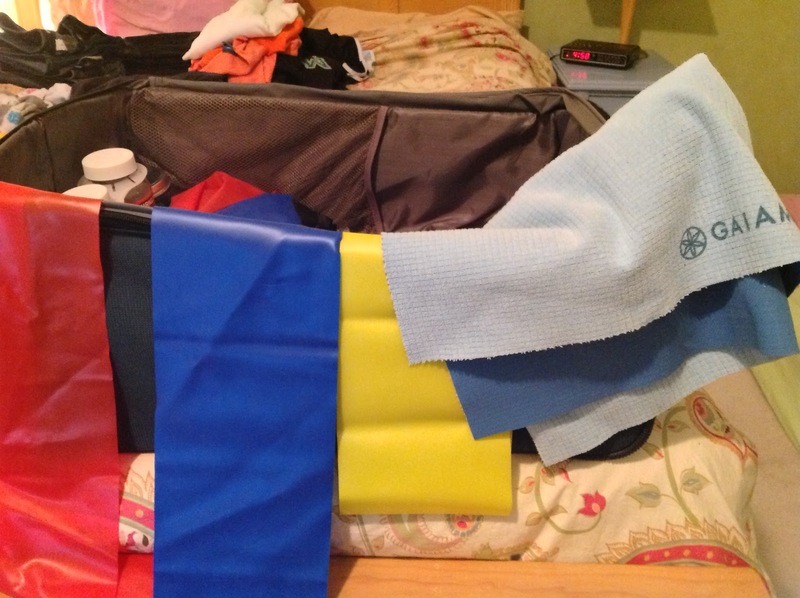 This was certainly not my goal in planning for fitness while traveling! All of that worrying for nothing. Three weeks in Mexico actually did this body some good. It changed my eating patterns and helped me to focus on the benefits of exercising for enjoyment rather than obligation. I am blessed to have a strong, healthy 42 year old body. My trip to Mexico truly is the gift that keeps on giving!